Apple Air Pods – I have given these as a gift to my husband and everyone in our family fights over them. They are a great gift for husands, friends, teens, and just about anyone on your list. I highly reomment them. They are wireless and connect to your apple device so they are convenient! Alexa Echo Show – So this comes highly recommnded to me and I’m asking for it for Christmas. You can put it in the kitchen while you are cooking and pull up your favorite recipes from blogs or youtube; you can watch shows on it; you can listen to music. It’s pretty incredible and I think it’s going to be a great holiday gift for teens, kids, and adults. North Face Millerton Jacket – People have been snatching this one up. Mike Miller loves his and let me just say, it’s an awesome gift for the men in your life. Cole Haan Grand Pro Tennis Shoes – Great gift for the husbands; one of my best selling, if not the best-selling men’s items and it is always a huge hit when given as a gift. Vitality Lip Flush – It’s under $25. It’s a great stocking stuffer or it’s a great, thoughtful, and affordable gift to give to teens, friends, moms, sisters, employees….just about everyone! Charging Bracelets– I’m obsessed with these Personalized Charging Bracelets. They are so functional and unique. I love that they can be bought for teens, friends, husbands and wifes…they are just a great gifting item! Faux Fur Brushed Tip Throws – Seriously though…who doesn’t love a good fur throw. One of my friends bought these for all of her office employees; I bought two to give as gifts. They are just an awesome gift idea and are affordable. Crazy Cars – These are so awesome for kids and are a huge hit if you’re looking for an awesome surprise gift! We get so many questions about these when people see our youngest son, who is 9 years old, playing on them in our neighbor’s backyard. They will be a hit if you are looking for a fun gift for your kids! Marc and Graham Personalized Carry On – Let’s be honest, gifts that are functional are amazing. And these personalized carry-ons are fabulous and functional. They will also be a hit with pretty much anyone on your gift list. Echo Dot – We got this for our kids last year and I can’t tell you what a hit it has been. It’s such a good, afforable stocking stuffer or a great gifts for nieces and nephews! Neato Robot Vacuum – OK, I just made it a top 11. Because who doesn’t want the gift of not having to vacuum all year. Mike Miller – I hope you’re reading this! 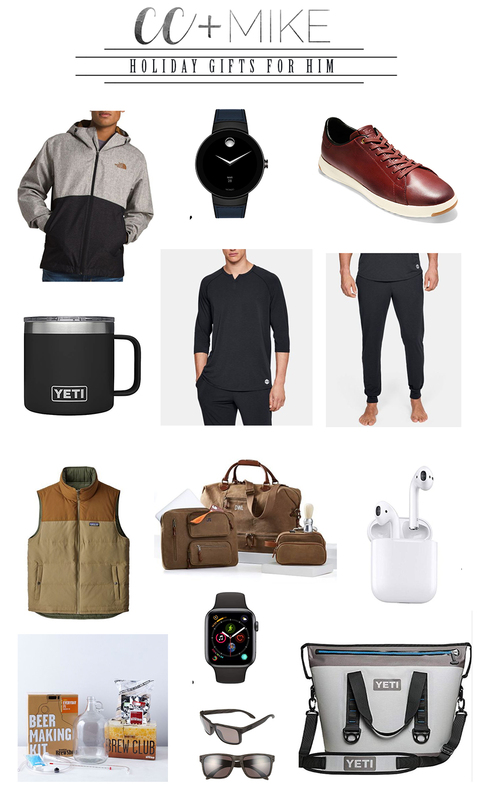 Next up are my Holiday Gift suggestions for that special guy in your life. These are either best sellers, something Mike Miller currently has and loves, or something that comes highly recommended from someone that I trist. The North Face Millerton Jacket has been a best seller AND Mike Miller loves his, as well as the Cole Haan Grand Pro Tennis Shoes. The Under Armor Athlete Recover Sleepwear by Tom Brady comes very highly recommended to us by our good friends and hopefully my husband isn’t reading this because this is definitely on the top of his gift list for this Christmas! 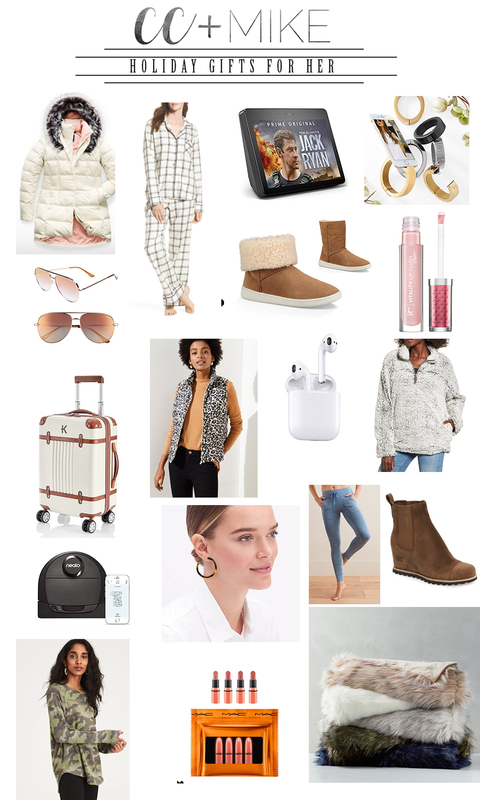 Next up are my gift suggestions for her! 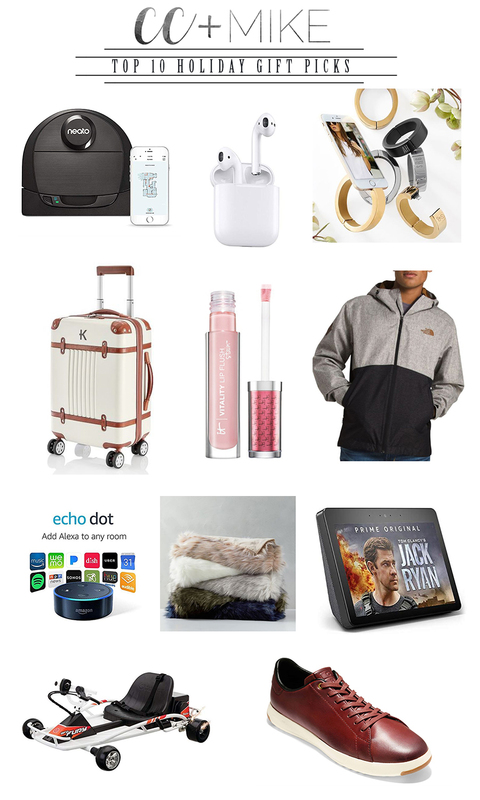 Again, these are all either things I currently own and highly recommend (like the aerie play pocket best selling logger pants,Ugg Pax Weatherproof wedges, Quay Aviator Sunglasses , Vitality Lip Flush, Leopard Vest, and the Ugg Mika shoes that can be worn TWO ways), OR they are things that I want: The Alexa Show, charger bracelet, Neato robot vacuum, Ugg pajamas, and several more! Oh yes, and theTortoise Hoop Earrings are such a great gift and stocking stuffer for under $20. They look amazing on everyone! SCROLL AND TAP TO SHOP HOLIDAY GIFTS FOR HER! Finally, these are my gift recommendations for preteens and teens. I will be adding to this list and even doing a completely separate post, separating out Holiday Gifts for teen boys and Holiday Gifts. The charger bracelets are so awesome. Trust me on the yoga swings…all kids love them. 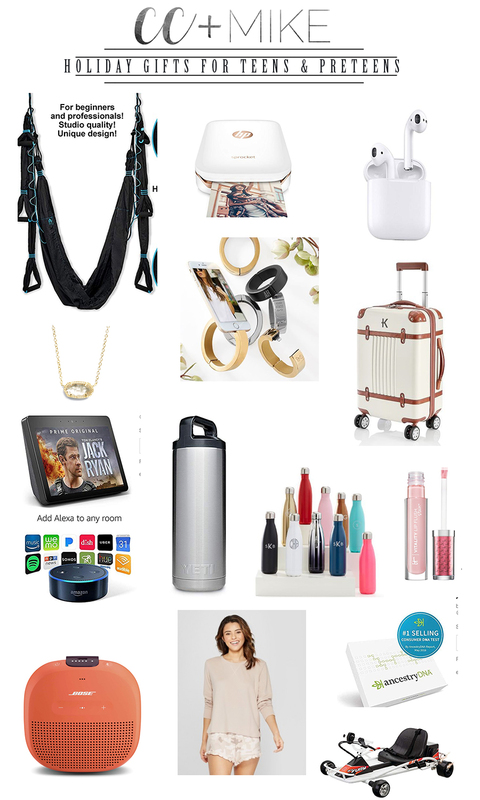 And well, pretty much everything on this list is or would be a big hit for the teens and preteens on your holiday gifting list! And here is on more view looking into the dining room at the new tree! 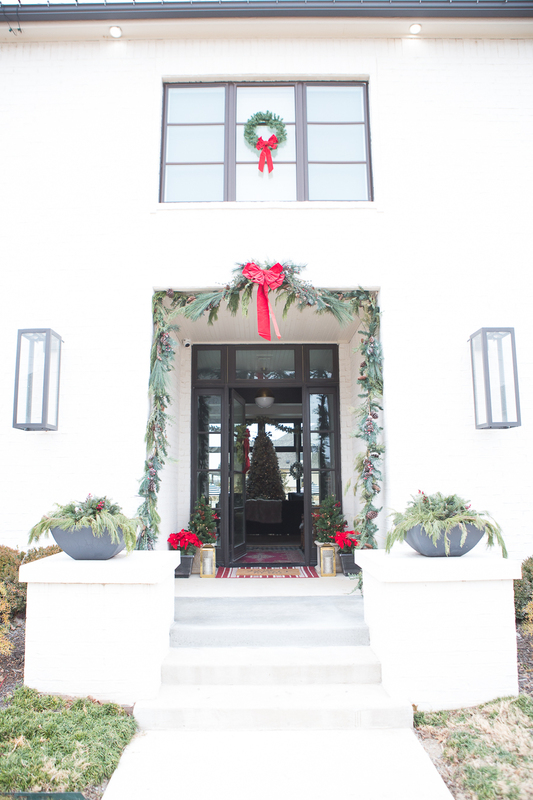 Hope you enjoyed our little Home for the Holidays Christmas Decor Tour and most importantly, I hope you found some easy and affordable ideas that you can carry over into your own Holiday Decor! For more holiday gift ideas, you can check out our post on Holiday Gifts 2018 and for Holiday recipes, one of our holiday favorites is Oreo Peppermint Balls !